Little did I know that just barely a year later, we would link that to a declaration that “an authoritative community stands for certain principles [ideas, concepts, Enduring Understandings!] and, in its treatment of children, seeks to shape and launch a certain kind of person. Put a bit more formally, an authoritative community clearly embodies a substantive conception of the good and includes effective communal support for ethical behavior.” We will get back to that confessional report and its IAV 1997 predecessor A Call to Civil Society in a minute after we cover the how. Through euphemisms like Growth, Student Achievement, Social and Emotional Learning, or federally required Higher Order Thinking Skills that mask an Education that puts the heart in charge of how the brain thinks. Flinders stated that his book was for those seeking to use education “for establishing moral and intellectual rather than economic order.” Much like these other two reports though, Flinders did tie his education vision to the “unequal distribution of wealth” and that “current economic orders are driven by greed, power, and pride” with “some people…sensitive to the divine alternative to these faulty economic orders.” It’s not that I see Uncle Karl behind every tree or new vision of education. I simply recognize both his handiwork and the updated Marxist Humanism vision launched on the rich and technologically advanced West in the early 60s when I run across it. It is everywhere present in the language of these reports and books, even though there is no alarming use of the M word. Just its themes so let’s get back to quoting so we can also see that this Third Way to be grounded in community, new values, neurocircuitry, and false narratives like the 2011 Closing the Door on Innovation is tied to what I usually simply shorthand as the MH vision, instead of always writing out Marxist Humanism. It does explain that new definition of Liberty noted above as well as why the Hoover Institution seemed to like A Call to Civil Society when it came out. http://www.hoover.org/research/civic-renewal-vs-moral-renewal In case anyone is hoping I am being overly alarmed when told that “we Americans understand freedom, our primary civic end, as an ethical condition–not simply as immunity from restraint,” I personally want a buzzer I can sound every time we track new visions of education or “civic obligations” to such redefinitions of historical terms. If I am told that “our core imperative is democratic renewal through civic engagement” and that “effective civic engagement…depends on a larger set of shared ideas about human virtue and the common good,” do we as parents and taxpayers have a right to a head’s up to such a fundamental shift before this new vision is simply instilled as Habits of Mind in student-centered, personalized education? Where’s the actual Choice in School Choice if all the available educational choices are quietly committed, under a myriad of differing terms, to neurally instilling these selected virtues and ideas that will guide Right Actions, Good Thoughts, and Correct Intentions grounded in a New Golden Rule as Hardwired to Connect put it. No wonder I kept stumbling over mandated communitarian concepts and practices as I tracked the actual requisite Common Core implementation in schools and classrooms. If think tanks and universities are going to push a vision of education that deliberately overrides the beliefs common to “most Americans today–[that] we humans, at least in the US, are autonomous units of desires, rights, and legitimate values of our own choosings. We are self-originating sources of valid claims, essentially unencumbered, self-owning, and auto-telological” they need to be open about it. Otherwise we have deceit to parents about what the Common Core is really about and how the various remedies they are being sold actually tie directly to this agenda I am describing in this post. We are due more than a dismissal like “we view this understanding of the human person as fundamentally flawed” in a document most of us have never heard of. If this masked vision of education reforms and its true purpose is tied to adopting “a new ‘civil society model’ for evaluating public policies and solving social problems,” aren’t we entitled to be told of the linkage? If we are told that the “new model is essentially ecological. It strives to view social environments the way ecologists view natural environments,” shouldn’t we know that so we can recognize the implications of adopting what Urie Bronfenbrenner called his Ecological Systems Theory? That his colleague, Soviet psychologist Leontiev said would be the Great Experiment on the West? Now that quote seems like a good stopping point before we discuss the implications of binding us all to a New Golden Rule we are largely unaware of. If our children are taught, at an emotional level, to be a good 21st Century Comrade and act accordingly, do we parents and taxpayers have a right to know? Are we simply left to follow the tales grounded in deceit until we notice all the open and connected coordination as this post just begins to lay out? I really wish this post came with a big sheet of paper and magic markers so we could simply draw all those connections. Some things really are more easily explained visually than in print. Nevertheless, all these quotes are quite clear on the essence of the desired shifts. The multiple tragedies in Paris on Friday in Paris did not change the topic of the Conclusion of this Trilogy. The ramifications of a document that came out of my UNESCO Lifelong Learning research, written by two Malaysian profs and presented at a 2011 Computing and Informatics Conference in Indonesia, http://www.icoci.cms.net.my/proceedings/2011/papers/86.pdf is what has flushed out the other Ideology that fits 100% with the actual implementation I tracked first in my book Credentialed to Destroy, and now as additional details come into place, through this blog. By Ideology I mean in the cultural model sense used in the last post, but essentially it is the values, beliefs, and concepts a person sees the world through–the personal and social belief system or Worldview that guides individual and collective behavior. The Arabic word for this is tarbiyah and it means education for Total Human Development, which is why its mandated practices and tenets dovetail so closely with that other M word that grew out of the political and human philosophy of Uncle Karl. I had never heard the word before yesterday. I had planned to write about the still troubling hijacking of acceptable religious belief systems using the secular K-12 classroom as laid out in an atrocious UNESCO/ UNICEF report sponsored by the Arigatou Foundation called “Learning to Live Together: An Intercultural and Interfaith Programme for Ethics Education.” Looking at that long document and its recommended activities and project-based learning and role-playing experiences, it was obvious this global targeting of each student’s values and beliefs, whatever their religion or lack of it, was already in place in various mandates I have covered. I had pulled that ICOCI “Visionary Model of an Islamic Learning Community” in part because it had a nesting graphic that worked like a Russian Matrushka doll with the student at the center just like the Aspen Institute wanted in that “Students at the Center of a Networked World” report created by a Task Force Jeb Bush disturbingly chaired. It extends outwards to classroom, school, community, and workplace, and then global, so it also fits with something a psychologist named Urie Bronfenbrenner developed. The C3 Social Studies Common Core Framework already hypes BEST (see tags), which also fits with the Learning Cities/ Regions emphasis from the last post. So not only did the push not seem limited to Islamic communities and countries, the link mentioned that Learning Communities, which we already know are to be required in US schools under the definition of what constitutes being an Effective Principal (see FCL tag), are based on a concept created by the founder of the Muslim Brotherhood in 1943. Saturday morning then, I decided to reread that link carefully, and it said that the late Hassan Albanna used usrah as an education medium laying down its three components of knowing each other, understanding each other, and helping and caring for each other. I am leaving out the particular Arabic terms although these, and usually the symbol from Arabic script and a verse from the Quran, are consistently provided throughout every component of anything involved with this Tarbiyah Project. Before anyone thinks I have to go to the other side of the world to track this, Tarbiyah was created by a native of Philadelphia, Dawud Tauhidi, who “embraced Islam in 1972. He studied at Lehigh University and later studied Arabic” at U-Penn. In 1980, he graduated from the famous al-Azhar University in Cairo where President Obama chose to go to address the Muslim World. His degree was in Usul ad-Din and Tauhidi’s masters and PhD in Islamic Studies are from U-Michigan. The Tarbiyah Project materials frequently cite to Michigan ed standards said to reflect the Project. Now we could stick with that 2011 link which tells us “ICT will play a role in helping the democratization of the usrah system” so we can keep its tenets in mind as we look at various digital learning initiatives. I can look at the various prescribed features of the Tarbiyah Project and recognize the complete alignment with what is being mandated for US classrooms in NCLB waivers, Positive School Climate XO’s, civil rights laws, etc. Most of my regular readers and anyone who has read my book will be able to as well. Phrases like ‘continuous improvement’ that are what every administrator and anyone involved in student and school accountability track verbatim. I have also tried to explain the focus on concepts and the desire to internalize what students will then use to guide perceptions and interpret daily experiences. Not only is that a component of Islamic education for holistic development of the Whole Child so they will learn to “be Muslim,” there was even a reference to the term ‘Enduring Understandings’. It has a tag as does its creator Lynn Erickson. Tarbiyah and Tawhid state that the heart and its transformation are to be the ‘core of education.” Anyone remember the subtitle of Erickson’s book on Concept-driven education? Stirring the Head, Heart and Soul. Did the Georgia Social Studies teachers down at the State DoE in 2009 receiving Conceptual Development training under a Bill Crenshaw know they were being trained to provide Islamic Education consistent with Tawhid (Spiritual Literacy) and Tarbiyah? Probably not and I doubt if the overpaid administrator knew either. That’s the beauty of K-12 globally now. 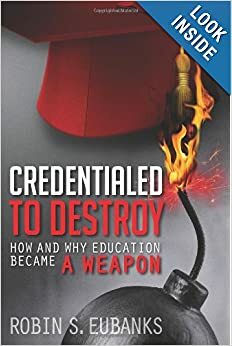 People are pushing concepts they do not know the background of because there’s a lucrative job there, promotions, pensions, and frequently being a Change Agent through curriculum was the whole basis of the education doctorate. And in it comes with virtually no one having the knowledge or incentives to look further. Did you know the Tarbiyah Project also likes to use that tired metaphor about education needing to move beyond the ‘factory-model’? With the name of the creator and project it will be easy to pull up lots of reports now, but this is too important to have to take Robin’s word for the alignment. Would you believe that in 2014 the US-China Education Review, perhaps excited about the implications of the 2013 Beijing Declaration and Learning Cities from the last post, published an article called “Revisiting the Concept of an Integrated Curriculum and its Implications for Contemporary Islamic Schools.” Again we have Malaysian profs who probably assumed they were talking among like-minded insiders. It cited to the ‘Tarbiyah Project’ of Tauhidi and how it is an “entire curriculum approach” that can become embedded through standards and “involves integrating Islamic knowledge into every subject of the curriculum and, hence, the inevitable need to rewrite the curriculum.” This integration, which deplores self-contained subjects like algebra or chemistry, also goes by the name ‘Islamization of knowledge’. It “mainly involves integrating all subject disciplines into the Islamic Weltanschauung.” The German phrase for Worldview as the new focus of education. So the so-called Thinking Curriculum is consistent with Tarbiyah as are all the SEL and Whole Child Initiatives. Anyone reading the Overview should also remember the New 3 Rs of Rigor, Relevance, and Relationships because all are mentioned repeatedly as well. They even make it into Essential Learnings and Key Outcomes and Indicators that formative and summative assessments will be looking for and creating through Project-based Learning and cooperative projects. What are those values? Well, the ubiquitous communitarianism we have located everywhere from what makes a Positive School Climate to what are Career Ready Practices is a key component. Tarbiyah is noted in footnotes as being consistent with Bloom’s Taxonomy and Howard Gardner’s Theory of Multiple Intelligences. Tarbiyah was not mentioned in any of the Rapprochement of Cultures materials I read or in the Learning to Live Together required practices and activities for the classrooms, but they all fit like puzzle pieces assembling a photo vista once we know about the other initiatives. Remember how the purpose of the creator of a theory or practice comes in even if the implementer is unaware? Islamic values and beliefs, Tauhidi and these cited others say, thoroughly permeate what is being required and implemented in the US and globally under a myriad of names. I have used tags and Proper Nouns for phrases to bring some of these out. In a world where people can be shot for drawing cartoons or anything maligning, I am reluctant to quote all of the references in the Tarbiyah Project documents and appendices to the Prophet, Quran, quotes from verses, or further Arabic names for what is desired to act as a Muslim instead of knowing about Islam. The Tarbiyah Project aligns with what is already being imposed, including the kind of dramatic change in pedagogy and instructional practices laid out by the Ultimate in American insiders here last week. http://www.gtlcenter.org/sites/default/files/Using_New_Assessments_Educator_Evaluation.pdf We can all wish that a focus on Student Growth and the required Effective Teaching did not align so well with Tawhid and Tarbiyah. How can free people survive in a world where the required practices all trace back to either Marxist theory for an ‘all needs met’ society or Islamic theory? In the Learning to Live Together report that was to be the basis for this post, the UNICEF/UNESCO writers make it clear just how regulated people are now to be to fulfill the UN’s agenda. No deviations or amendments allowed and they even said that. It’s a one-way street though where the beliefs and perspectives of some groups and religions must be respected, while K-12 education deceitfully wipes out any religion, beliefs, or values that venerates the individual. At least now we do not have to wonder why strange stories about required Mosque field trips and forced studies of Islamic pillars just keep cropping up. Now let’s see what sunlight can do to this planned transformation without consent. It should trouble us all greatly that Tauhidi cited Abraham Lincoln’s famous quote about whoever controls school curriculum being in charge of the forms of government in the next generation. Hopefully not, for all of our sakes.